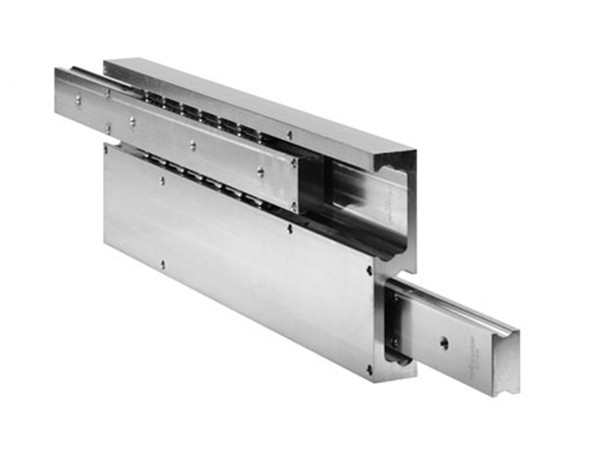 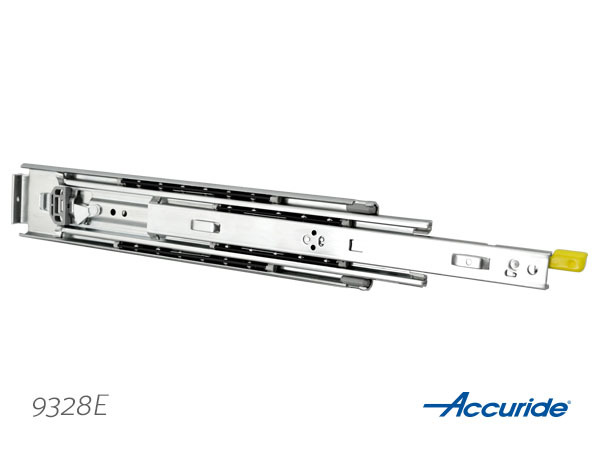 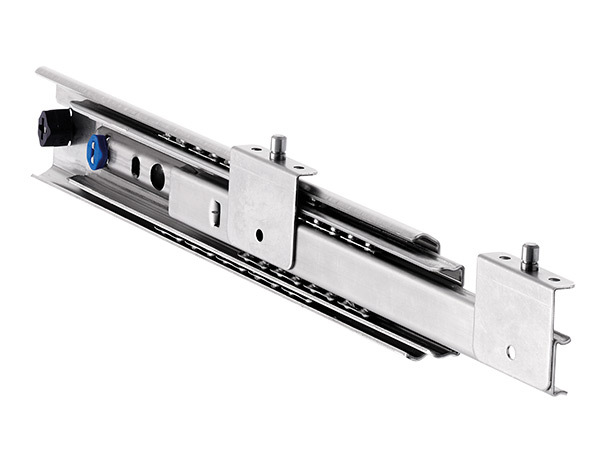 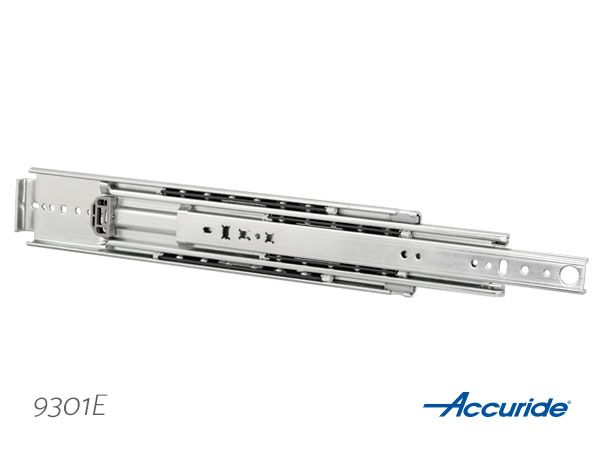 Accuride 9328 E has heavy duty lock-in lock-out slides with front latch release secures drawers in an open or closed positions for extended access. 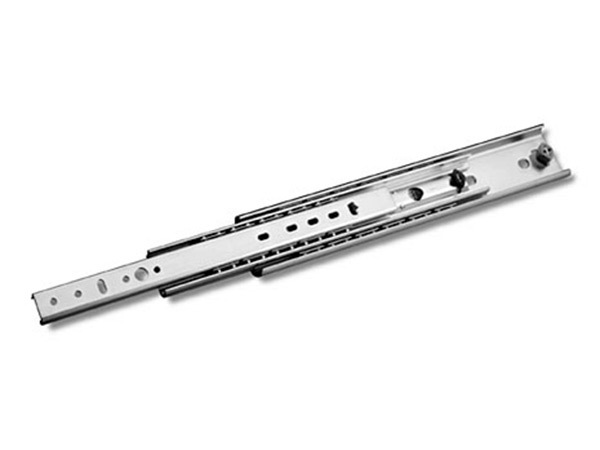 Pocket and Bayonet Mount. 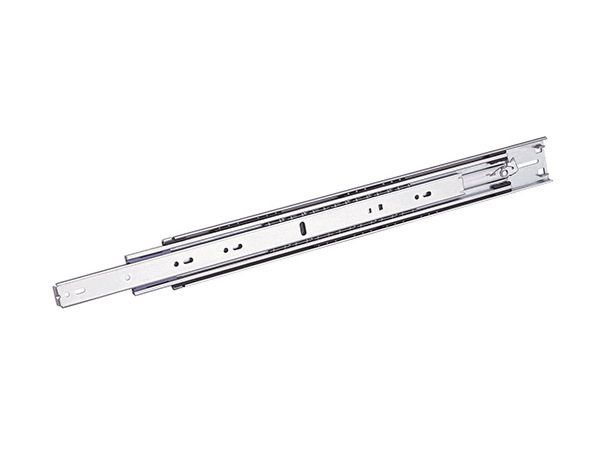 Suitable for equipment drawers or trays in utility or emergency services or hazmat vehicles. 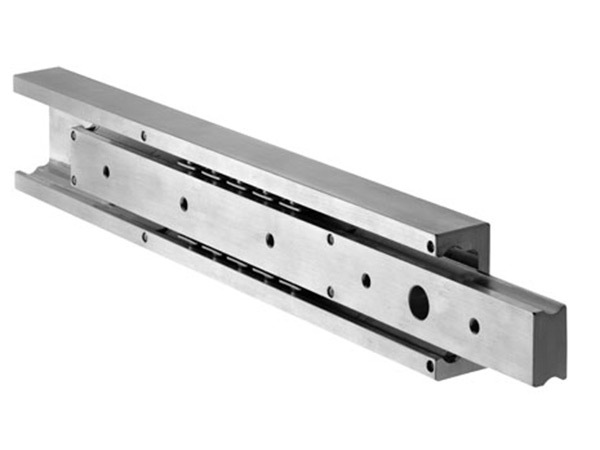 Available in even lengths 10"-36", 40", 42", 48", 60"